Thats just the daedra armor! A piece of advice to you, good job learning how to re-texture the Daedric Armour Set, but why would you make it all gray? It looks like your character just fell in a bucket of concrete, no offense. 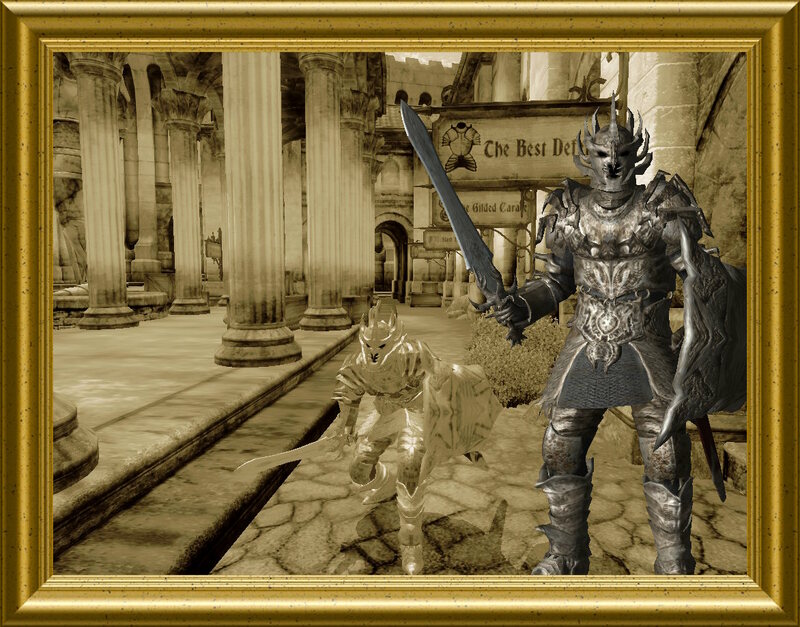 Although I will give you this piece of advice for free, never call a simple re-texture a "complete and unique armor set and a sword" (they're not, put simply) with "custom icons", they are pictures of the original (un-concreted) Deaedra set. Still keep on modding, but maybe at least try using a texture with patterns on your next re-texture...maybe?